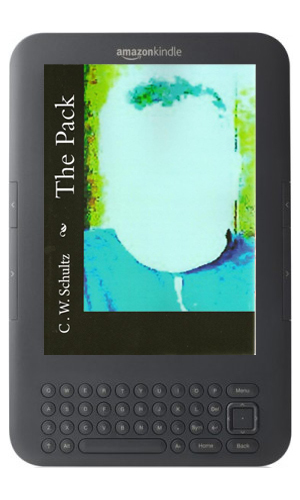 C. W. Schultz’s 2010 sophomore novel The Pack is available for free on Kindle from 09/14/2015–09/18/2015. Click here to get it from Amazon. Sigmund “Siggy” Farris and his five friends form a group called The Pack as a fun way to make some extra dough under-the-table by offering such services as bookmaking, event planning and organized gambling. The Pack is an unexpected success and eventually turns into a serious business with good money. But the tight-knit group soon find themselves in far more treacherous waters for bigger bucks and more power, forming partnerships with other organized crime groups. Soon their lives spiral into a frenzy of betrayal and murder. Conscience and righteousness are soon abandoned for survival. Layered with dozens of characters, each of whom drive the plot from beyond the concept that crime doesn’t pay to the irresistible craving of power and wealth. There are people who live in a hostile lifestyle because they have no choice, and then there are those who choose this path to gain respect and importance they somehow couldn’t find in the “honest” world. The Pack examines both kinds of people. The six main characters are unwilling to accept that some things in life are inevitable; and in taking justice into their own hands, their fate turns out to be far grimmer than if they had turned a blind eye. The book is read by Charlie Begelman (played by Todd Sezekely) throughout the film Watch.